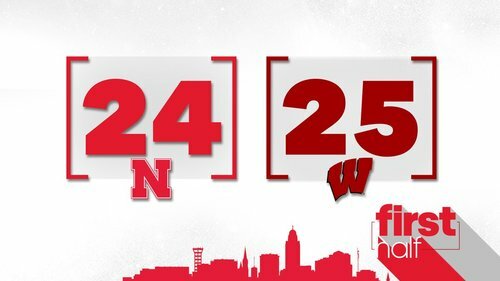 Halftime: #Badgers 25, Nebraska 24. The teams have combined for 19 made field goals, 17 fouls and 18 turnovers. So, yeah, not pretty. ???? @EMMORROW_30 with the final bucket ???? #Badgers fail to score over final 3:52 and still have a 25-24 halftime lead. First one to 40 wins and we can go home? PPP: #Badgers 0.76, Nebraska 0.73. UW shooting 31.0 percent, Nebraska at 34.5 percent. Fun halftime stat: Wisconsin is shooting a better FT% than Nebraska. 57.1% to 50% but, uh, whatever! 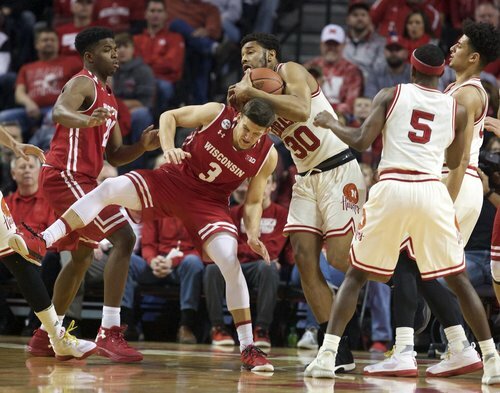 Nebraska doing a very good job attacking #Badgers Happ with multiple defenders. He has 3 FGAs and 2 TOs. Hey, @UNLcymbalswag , if we can add some bowl flipping onto the top guy's head we can take this show on the road. So earlier when I mentioned Happ might get a double-double with assists? Current stat line: 4 points, 6 boards, and *mumbles* 0 assists. Some stats at the half. Twenty more minutes, let's go! 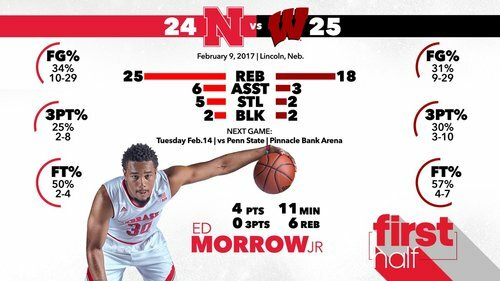 Nebraska forward Ed Morrow, who missed last 7 games (foot), has 4 pts and 6 board vs. #Badgers . 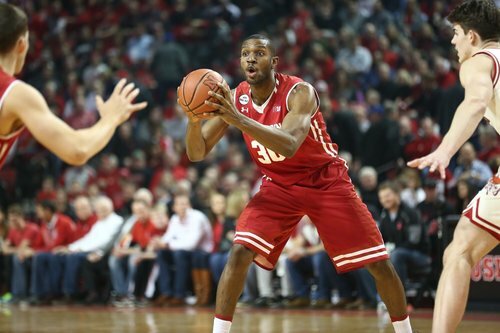 #Badgers have allowed 10 offensive rebounds, though just 3 second-chance points. ???? @EMMORROW_30 to end the first half. 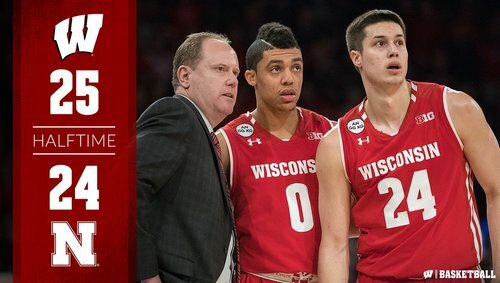 Wisconsin has shot under 35 percent in the first half in three of the last four games. Guessing Gard addressed rebounding at halftime. Nebraska has a 25-18 edge in that category, including 10-7 on the offensive glass. Second half underway with a #Badgers steal and a Hayes jump hook for two. Good start to the second half! Steal for Brown and short jumper for Nigel! Life on the road. ???? Happ's excellent defense leads to a Koenig three and hopefully that sparks the Badgers. #Badgers still lead, 32-29, but they're not exactly lighting the place on fire this half. 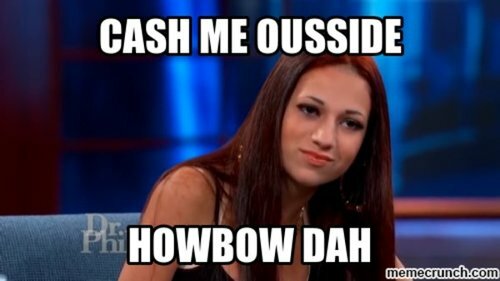 Vitto Brown picks up his third personal foul. Timeout on the floor. Happ with 6pts, 9reb, 1stl for the #Badgers . #Badgers have 4 assists and 8 turnovers; Huskers have 7 and 11.
.@Tjawtherula brings it within 1 point. NIGEL HAYES DUNKS ON THE ENTIRE STATE OF NEBRASKA! Hayes' free throw gets stuck on the rim. That pretty much sums things up here in Lincoln.